Committed to providing consumers with excellent craftsmanship, River’s Body Shop is proud of the many products and services it has to offer. Equipped with state of the art technology, products, and equipment, our Body Shop Manager, Mike Calaman, and his PPG certified technicians are ready to handle even the toughest challenge! As a PPG Certified Collision and Paint Center, we are excited to announce that PPG Industries has been approved as a supplier of refinish products and services to Daimler Trucks (formerly Freightliner LLC) repairers worldwide for warranty and aftermarket collision repairs. In order to achieve this approval, PPG’s product systems were put through rigorous testing to include chip resistance, corrosion, adhesion, UV degradation and color matching. 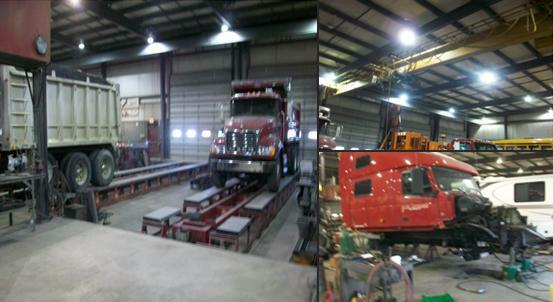 The approval covers all Freightliner, Western Star and Sterling commercial vehicles. But no need to worry, we can also offer other paint brands per our customer’s requests. 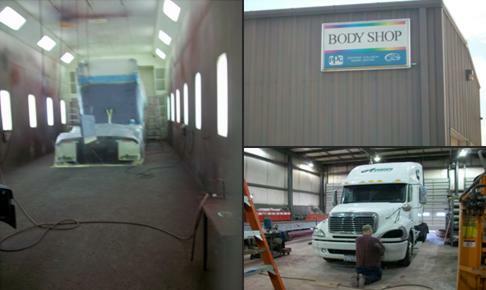 In 2001, River’s Truck Center completed a new 23,000 square foot facility in which it has dedicated space to the Body Shop for its prep work. As a result, our Body Shop completes all prep work in a separate building, while the painting is still completed in the original facility which boasts a 60-foot temperature controlled paint booth. Separating the prep work from the actual painting is just another step we have taken to provide consumers enhanced quality on their repairs. River’s Frame & Alignment Shop with its 23,000 square foot building, state of the art equipment, and A+ employees entered the field in November of 2001 allowing us to provide excellent service in yet another facet of the truck market. Our Frame Shop Manager, Mike Calaman, along with his team of knowledgeable and experienced technicians, will provide you with top-notch repairs and service. In our alignment shop in our collision center York PA, we have the capabilities of doing a total axle and wheel alignment utilizing our Bee Line computer and laser alignment equipment. We specialize in medium and heavy duty truck and trailer alignment, tracking corrections, complete steering axle repairs and rebuilding, steering system repairs, and truck and trailer axle housing straightening and corrections.